We hope you are enjoying the change in seasons that has brought crisp, cool weather and a new season of Nashville Jung Circle activities! All events at the Green Hills Library are free and open to the public. The body of intellectual work Carl Jung produced is as daunting in scope and scale as it is important in its impact and influence. Eighteen volumes of the Collected Works, in addition to his autobiography, Memories, Dreams, Reflections, are evidence of his prolific output, almost without equal in the annals of scholarship. To explore and understand this vast expanse of material, we need a guide – someone who has gone before us and done the hard work of analyzing and synthesizing Jung’s challenging theories. 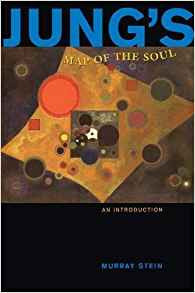 Dr. Murray Stein, a prominent Jungian analyst and movement leader, has provided us such a service with his classic book Jung’s Map Of The Soul. Published in 1998, the book is now in its twelfth printing and has established itself as a favorite resource among students of Jung. No matter the degree of your familiarity with Jungian thought, I believe reading (or re-reading, as the case may be) this book will prove time well spent. I think it is essential for our growing community to be grounded in the basics of analytical psychology (Jung’s term for his system) and that’s why I have offered to lead a discussion of this invaluable book. Please consider obtaining and reading Dr. Stein’s book and then join us for our discussion on Sunday afternoon, November 18 at 2:30 at the Green Hills Public Library in Nashville. It will be fun, and I hope, informative. To purchase the book online click here. According to Murray Stein, if the psyche is imagined as a three dimensional object like the solar system, then ego-consciousness is the earth, the space surrounding it is the unconscious, and the satellites and meteorites, which are the first objects encountered as we venture into space, are the complexes. Jung's most important early contribution to a psychology of the unconscious was his theory of complexes, which grew out of his work with the word association test. Jung discovered that certain words stimulated emotional reactions, or disturbances, from the contents of our unconscious minds; he called these "disturbances of consciousness" complexes. When a complex is activated, a person reacts emotionally, anywhere from slightly to "losing it." A more common way we say this is that someone "pushes my buttons," with the buttons being a metaphor for complexes. When a "button" gets pushed, we can feel as if in the grip of something that takes over our normal will and personality. Jung said complexes are the "royal road to the unconscious." Please join us as Karen Harper, a Nashville Jung Circle board member who is finishing her doctorate in Jungian Studies at the Pacifica Institute, discusses Jung's theory of complexes, including the nature and origins of complexes, their benefits to Self-growth, types of individual and cultural complexes, and ways to work with them. From the stories of Jonah in the belly of the whale or Persephone in the Underworld to Star Wars, The Matrix and Lord of the Rings, the journey to individuation and wholeness always includes a stop in wilderness places we'd rather not visit. But sometimes we don’t have a choice. And whether it's divorce, illness, or any of life's darkest challenges, sometimes the events in our lives place us firmly on that path through the dark woods. But what if that path is one we might welcome? Once we walk it, we learn that it's like the journey of the chrysalis as it makes its way from caterpillar to butterfly, which, surprisingly involves something called “imaginal” cells. As it nears its time for rebirth, the caterpillar first eats everything it can, until immobilized by its weight, and then it attaches itself to a tree branch. There, in complete stillness, its interior cells turn to a kind of “soup” made up of once-dormant cells called “imaginal cells.” These cells – like the seeds of our own new ideas – are first attacked by the caterpillar’s immune system, but then as their numbers increase, they begin to gather together and form the frequencies of the future butterfly. This music-driven presentation uses the ancient Sumerian wisdom story of the Descent of Inanna as the backdrop for a personal journey through the wilderness. Drawing on Jungian wisdom woven with uplifting music and personal experience, Kling shows us that the story never ends in the darkness. And just like the caterpillar, if we are willing to see the process through the murky “soup” of those “imaginal cells,” we will emerge as a beautiful butterfly, reborn into new life. 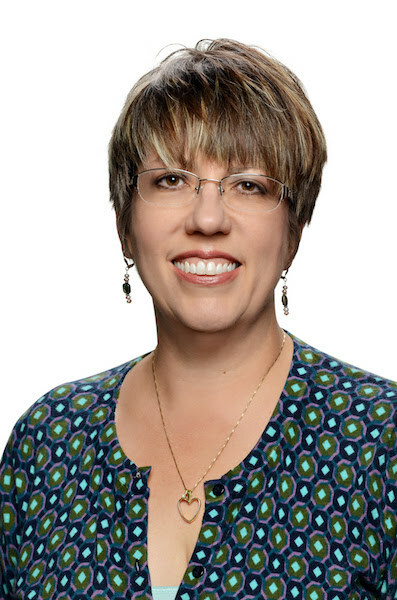 In addition to being Associate Dean of the School of Theology and Executive Director of the Beecken Center of the University of the South, Sheri D. Kling is a theologian who works in the interdisciplinary space where worldviews, beliefs, and practices can create either dis-ease and suffering or psycho-spiritual wholeness and common flourishing. Drawing from process philosophy/theology, Jungian psychology, and mystical spirituality, Sheri focuses on communicating theological ideas and practices that positively impact humans’ relationships with God, self, and world, especially the use of dream work as a spiritual practice for divine encounter, personal integration, and widening our relationship to creation. She holds a PhD from Claremont School of Theology and earned a master of theological studies at the Lutheran School of Theology at Chicago. She is a faculty member of the Haden Institute, a visiting lecturer with Palacky University (Czech Republic) in Social and Spiritual Determinants of Health, and a singer, songwriter, guitarist and essayist. Her website is www.sherikling.com. Whenever one of our speakers mentions dreams, we immediately hear requests for dream groups. So here it is – the Community Dream Group Initiative offered by Laura Huff Hileman in partnership with the Nashville Jung Circle and the Nashville Public Library. The pilot groups are going well and we hope you’ll join us for upcoming events. The first step to joining a dream group is to attend a free 90-minute Intro Workshop at a branch library. (See below for currently scheduled workshops: more are coming each month.) You will get the basics in Jungian dreamwork, plus image play, a mini-dream group experience, and a starter guide for personal dreamwork. After the introductory session you may sign up to join a 6-session dream group facilitated by Laura. In circles of four to six people, you will explore dreams and integrate their wisdom into your life using the respectful method of projective dreamwork. Times and locations are based on request, and the plan is to offer groups in various Nashville neighborhoods. The fee is $100 for the series with limited scholarships available. New groups will begin in January, February, March, and April. or visit her website, www.firebynight.net and click on the “Offerings” tab.
" For me, personal and group dreamwork has been a profound source for spiritual growth, personal evolution, and healing. I believe that the mystery at the heart of life – the Self – God – the Dreamgiver – is an everflowing source of wisdom, abundantly present in our dreams, which is given to be integrated into our lives and eventually shared with others. Laura Huff Hileman is a certificated Dream Consultant and Spiritual Director. She has taught dreamwork since 1999. She holds Masters’ degrees in English and Psychology and has completed 2-year trainings in both Dream Mentorship and Spiritual Direction at The Haden Institute in North Carolina. 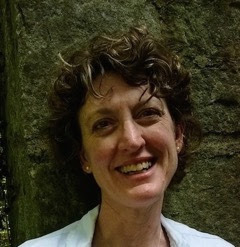 Laura facilitates group and individual dreamwork in Nashville, and she has taught at St. Mary’s at Sewanee, SoulFeast, Stillpoint, Kanuga Summer Dream Conference, Haden Institute, and the IASD International Conference. Laura is on the Board of the Nashville Jung Circle, through which she is initiating Community Dream Groups. PRESENTING TWO SPECIAL EVENTS with Renowned Jungian Analyst and Author Dr. James Hollis, PhD.